École Polytechnique offers three new Graduate Degree Programs exclusively taught in English for the academic year 2016/2017. These industry-oriented programs are designed for highly qualified undergraduate students with a solid background in science and/or engineering. Registration opens in March. Starting from September 2016, École Polytechnique offers a new industry-oriented Graduate Degree whose key features are: close industry collaboration for real-world education, high-level research training combined with innovation management know-how and multidisciplinary à la française. 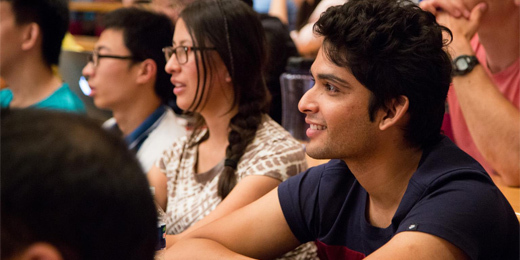 These two-years long programs entirely taught in English prepare talented students from all over the world to take on leadership positions in technology-driven organizations. This Graduate Degree program combines technical training in electronics, communications and software with an in-depth study of the legal, social and economic contexts in which connected objects are now launched. Parallel to coursework, students undertake a two-year Graduate Project, working in teams to manufacture their own connected object, from idea and design to pitching the finished product. Leveraging École Polytechnique’s leadership in the field of research and engineering, this Graduate Degree program offers a multidisciplinary approach bringing together the study of energy and the environment, while empowering students through essential management training. Featuring a strong experimental focus and extensive interactions with industrial partners, the program enables students to join the engineers and entrepreneurs already tackling the challenges of renewable energy production and supply in the 21st century. This Graduate degree program involves applying advanced quantitative methods to the study of new and transforming markets and their competitive environments, allowing for a truly economics-based interpretation of corporate strategy. Teaching is resolutely professional-oriented, relying on a combination of methodological teachings and real-world case studies to uncover the hidden trends guiding the evolution of specific market segments and business models. Registration for these new programs will open in March.